You may live or work abroad, but if you are an American citizen or legal permanent resident, Uncle Sam still wants his rightful share of your income. Even if you reside outside the United States and receive earnings from a source located outside the United States, you must report that income. Depending on your circumstances, you may have to pay taxes both to the government where the company from which you earned your income is located and to the Internal Revenue Service. However, in some cases you may receive tax credits or tax exclusions for some or all of your foreign income. The details of reporting foreign income vary according to individual circumstances. 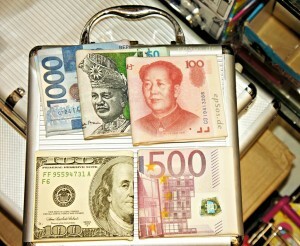 Nonetheless, there are general guidelines for nearly everyone who receives foreign income. If you are taxed by the country from which your income is earned and that country has established a tax treaty with the U.S., you may be able to claim the Foreign Income Tax Credit. This credit was designed to help you avoid double taxation and allows you to claim a credit for income tax that you have paid to a foreign government. The intended net result of the tax credit is to ensure that the total income tax that you pay is no more than the highest result that you would have paid to a single government. If you hire an accountant or a tax attorney to figure your taxes, he or she will undoubtedly apply the Foreign Income Tax Credit on your income tax return. Some tax preparation software programs also include provisions to calculate the Foreign Income Tax Credit if it applies to you. If not, choose a different tax preparation program. Do not confuse the Foreign Earned Income Exclusion with the Foreign Income Tax Credit. The Foreign Earned Income Exclusion is designed to allow American citizens and legal residents who reside outside the country to exclude most or all of the income earned from foreign sources from their federal income tax liability. The amount of the exclusion varies each year; for 2013 the maximum exclusion was $97,600 per individual taxpayer. Married couples could conceivably claim a larger exclusion. The Internal Revenue Service has established strict guidelines for taxpayers who wish to claim the Foreign Earned Income Exclusion for a given tax year. Taxpayers must meet all the guidelines listed below to qualify for the exclusion. The bona fide residence test requires that you are a bona fide resident in a foreign country for a period that includes at least a full tax year. The physical presence test requires you to be physically present in that foreign country for at least 330 days during a single 12-month period. You need not be present for 330 consecutive days, however. Income earned by employees of the United States government, including military personnel on active duty, does not qualify for the Foreign Income Credit or for the Foreign Earned Income Tax Exclusion, even if the income was earned overseas. However, spouses of government employees who earn income from foreign sources may be eligible for either the Credit or the Income Exclusion. It is necessary to consult with an attorney or accountant who specializes in this subject with specific questions about your particular circumstances. If you reside within the United States full time, in most instances, you must report income earned from foreign sources on your federal income tax return, even if you are taxed on that income by the foreign government. This requirement pertains to earned and unearned income. 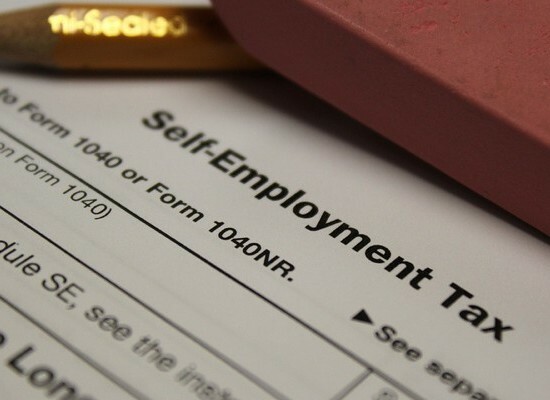 Self employed workers who earn income from foreign clients must also report their foreign earnings on their federal income tax returns. The requirement to report foreign income applies even if you do not receive a W2 Form, Form 1099 or equivalent form from the foreign income source. It is your responsibility to provide an accurate calculation of your income by calculating payments from pay stubs, wire transfer records, dividend reports, bank statements or PayPal monthly statements. Once you calculate your foreign income, you must combine it with any domestic income you have earned in order to calculate the adjusted gross income to be included on your federal income tax return. Failure to report foreign income is considered tax evasion, and if you are caught, the consequences could be dire. You could be hit with hefty fines or even face jail time. I have question about income i made outside of country. I am freelancer . I will have job in japan ,i have to go there to do consulting . so accountant in the company will do paper work not to pay tax in japan, but here . do you think i need contact paper in english? also is there any form like W-9 form for my foreign client to fill out to pay tax here?